Craftsbury is one of the many 6 mile square towns originally laid out by New Hampshire Governor Wentworth in what was then considered the New Hampshire Grants. The town was granted to Timothy Newell, Ebenezer Crafts and their associates on November 6, 1780 and chartered by the name of Minden in 1781. It was Colonel Ebenezer Crafts who started settling the town in 1778. In November 1790, the name of the town was changed to Craftsbury. When the town was organized as part of the state of Vermont in 1792, Samuel Crafts was chosen town clerk. Although a single town, Craftsbury consists of three main sections: Craftsbury Village, Craftsbury Common and East Craftsbury as well as other sections such as Mill Village and Collinsville. The resident population of Craftsbury is approximately 1135 but the population swells considerably seasonally with summer residents, vacationers, skiers, kayakers and others who take advantage of Craftsbury’s many summer and winter activities and rural lifestyle. Craftsbury Village is the only part of town that is in a valley. The Town Hall is located in the village along with two general stores, the Craftsbury Garage, the Post Office, Masonic Lodge, Fire Station, Town Garage, Our Lady of Fatima Catholic Church and the Elementary School. East Craftsbury is South and East of the village up on a hill. The Craftsbury Community Care Center (assisted living), the John Simpson Memorial Library, Tamarack Gallery and the Presbyterian Church are located here. 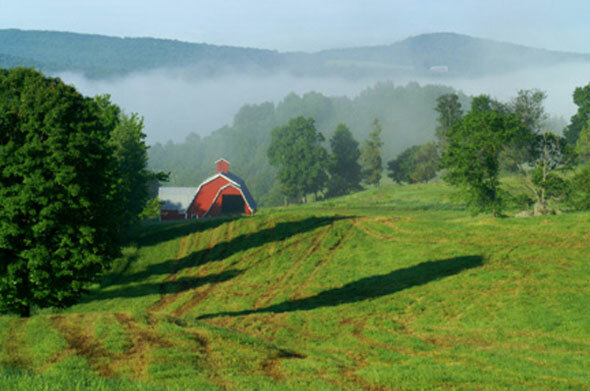 Craftsbury Common is one of Vermont’s most photographed villages and is located 1 mile north of Craftsbury village. 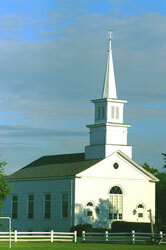 Craftsbury Common is home to Craftsbury Academy (Junior and Senior High School), Sterling College, a Post Office, the Craftsbury Historical Society, the Craftsbury Public Library, and the Craftsbury United Church. Located in the nearby Mill Village area is the Craftsbury Outdoor Center for winter and summer sports and activities. Craftsbury has several working farms, not only dairy but also sheep, llamas, organic produce, nurseries and Christmas trees. Scattered throughout the town are many fine artisans, craftspeople and musicians, as well as an antiques store, Antiques and Uniques. You will also find builders, carpenters, gardeners, and a variety of other trades people.